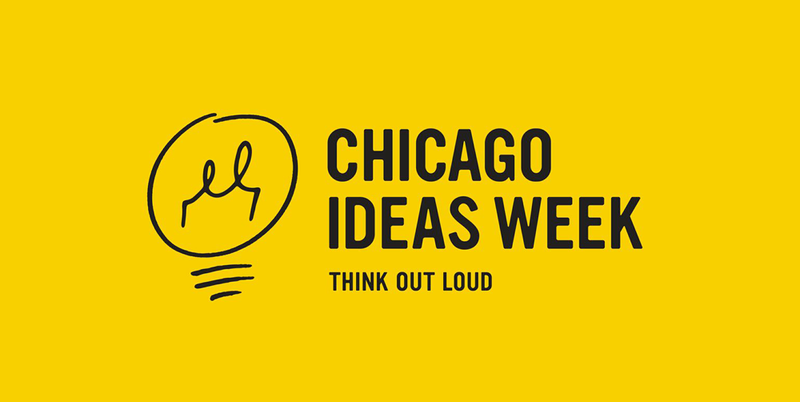 Every year, Chicago Ideas Week takes place, bringing together intellectual thinkers, leading entrepreneurs, and active minds everywhere for stimulating discussion and hands-on experiences. And, not only will you get to listen to and learn from influential people, such as John Mackey, the CEO of Whole Foods Market, Zac Posen, renowned fashion designer, and Bozoma Saint Jean, Chief Brand Officer at Uber, but you’ll also walk away feeling inspired, so you can carry that newfound knowledge and passion into your own ventures. With tickets on sale now, it’s time to reserve your spot. For the week of October 16-22, the city will be bursting with energy, incitement, and creativity. And, there’s no better city to hone in on this culture, artistic expression, science, and business leadership and development than Chicago. Need some recommendations? Here are a few standout talks, conversations, and labs you don’t want to miss. Taking place on Monday, Oct. 16th from 4-5:30 PM at Venue SIX10, you can join Zac Posen, Heather Caruso, and Kelly Leonard with Second City, among others, to discuss how certain works, such as Hamilton, can engage the audience and bring them into the artist’s world. Hitting on improvisation, the behavioral sciences, and creative collaboration, attendees can expect to walk away feeling inspired to embark upon their own greatest achievements. Reserve now. Taking place on Tuesday, Oct. 17th from 5-8 PM at Anatomy Redefined, this lab will give you that mind-body experience, where you’re temporarily transported from reality into a world of deep connectivity, inner peace, and soothing sound. As life can be stressful, especially for a busy traveler or someone living in a big city like Chicago, finding ways to cope through artful meditation and breath can enable self-discovery and relaxation. Be sure to wear comfortable clothing. Reserve now. Taking place on Tuesday, Oct. 17th from 7-8:30 PM at Harris Theater, this talk featuring Sarah Robb O’Hagan, CEO & Founder of Flywheel Sports, Rachel Roy, Bobbi Brown, and Rafat Ali, CEO & Founder of Skift, among others, will show you what it’s really like to be an influential entrepreneur in today’s age. Here’s a hint: That spirit doesn’t stop once the business is created—it builds with time. Reserve now. Taking place on Wednesday, Oct. 18th from 7-8:30 PM at Harris Theater, this event isn’t for the simpleminded. Life is incredibly meaningful, and with anything that holds so much weight, it requires curiosity and introspection. In this talk, you’ll dig into life’s most interesting, stimulating questions, regarding happiness, truth, purpose, and self-worth. Here, you’ll encounter skepticism, new perspectives, and different truths that you can ponder even after the talk ends. Who knows, it could lead you to your next great adventure. Reserve now. Taking place on Thursday, Oct. 19th from 7-8:30 PM at Venue SIX10, this talk dives into musical expression, as well as the electrifying trend of Electronic Dance Music, or EDM, today. (Think: Avicii, Mike Will Made It, and Calvin Harris.) The genius behind blending genres and styles and taking the mind to higher place has truly defined what we listen to now. Reserve now. And, if you’re looking for a wildcard, mark your calendars for Thursday, Oct. 19th from 4-5:30 PM at Venue SIX10. Embrace the ambiguity, expect novelty, and leave in awe. Interested in planning a trip to Chicago? Contact us here.